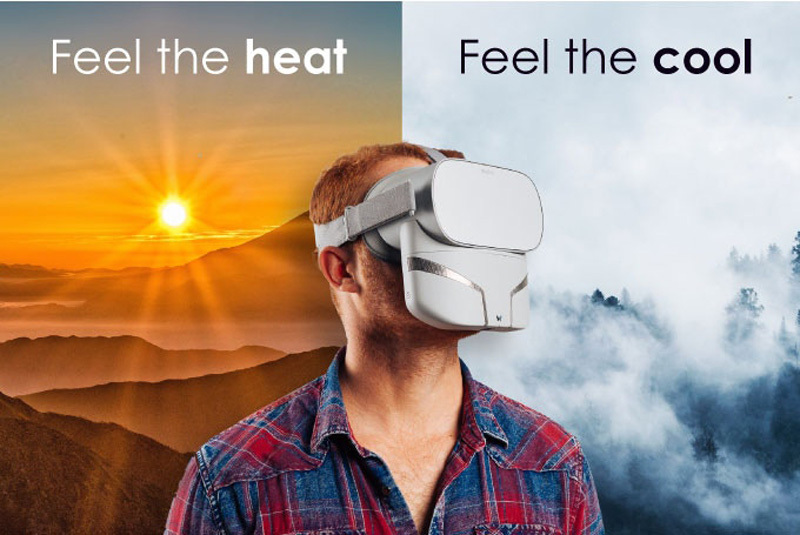 CROWDFUNDING NEWS – Dive deeper into your gaming and movie experiences with Feelreal VR headset add-on. 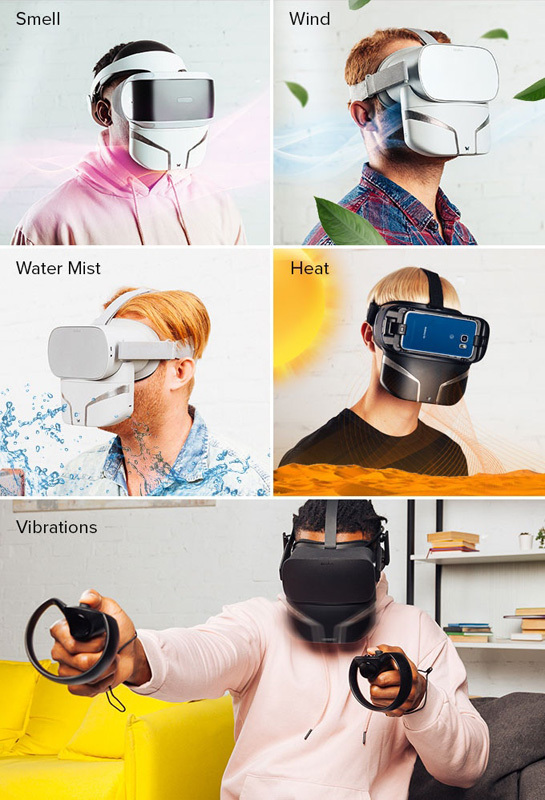 The patented design attaches to your existing VR headset and can simulate smell, rain, wind, vibration, punches and more. Weighing in at only seven ounces, the unit magnetically attaches to your headset. It can generate up to 255 different scents to enhance your gaming and movie experience. 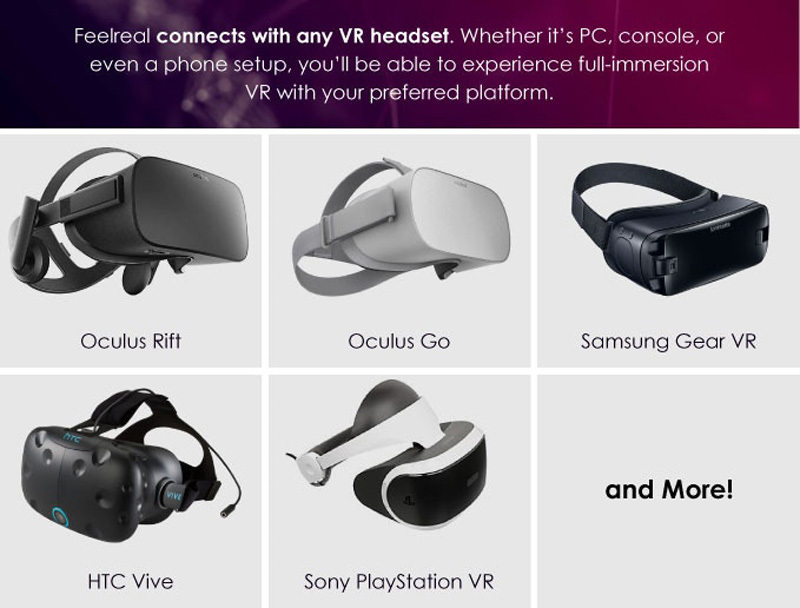 Feelreal is compatible with a wide range of headsets. Scents are generated by combining up to nine different aroma capsules. Heat and cold come from micro heating and cooling units. An ultrasonic ionizer produces mist and rain. Small vibration motors simulate bumps, punches, and general motion. It can run for up to four hours on a charge. Beyond entertainment, the developers also have created operation modes for aromatherapy and meditation. Several VR games are supported with more on the way. YouTube VR is also supported. You can also edit your own movies, adding scent and sensory tracks on your own. Funded in under an hour on Kickstarter, Feelreal is just shy of $100,000 on a $20,000 initial funding goal. Funding ends on May 10 at 3am EDT with initial shipments slated for August 2019. Packages start at $199. For more information, visit their campaign on Kickstarter.